This African American church, established in 1866, built its first sanctuary four blocks SE in 1870. Construction began on this sanctuary in 1928 and was completed in 1944. 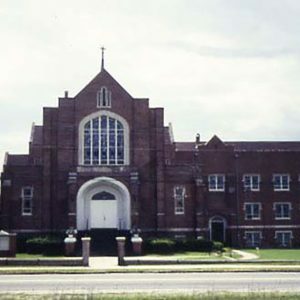 Trinity, headquarters for the Orangeburg Movement during the 1960s, hosted many civil rights meetings and rallies attended by leaders such as Martin Luther King, Jr., Roy Wilkins, and Thurgood Marshall.